Have you ever thought how it would be like being a web-slinger? If so, then you can try this with our fabulous Venom costume ideas for Halloween. Venom costumes are for those, who prefer black to the blue and red colored Spiderman’s outfit. You will definitely want to have a nasty streak. 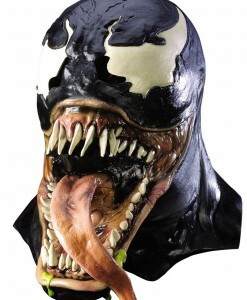 Become a creepy alien symbiote with our selection of Venom costume ideas and accessories. Be prepared to become one of the greatest Marvel villains! 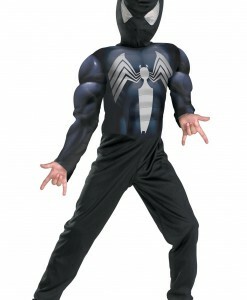 If you are ready to be a bad guy for the next Halloween party, then our selection of Venom costumes is what you need! 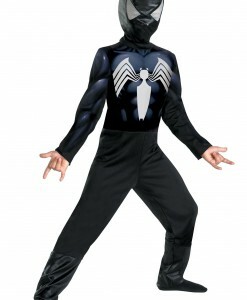 Our Venom costumes include black jumpsuits with long sleeves that cover the wearer’s body from head to toe featuring a white spider on the front. 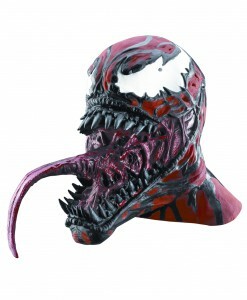 For a horrifying look, we have Venom masks that are going to scare your friends and party guests’ pants off this Halloween. 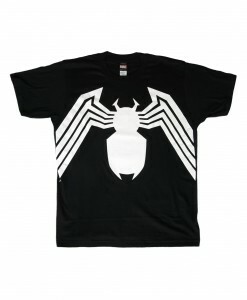 If you do not need the whole Venom Halloween costume, then stick to one of our Venom costume T-shirts. 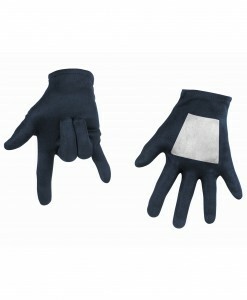 Get a pair of Venom gloves for an extraordinary costume at an economical price and you are ready to go! If there are two of you and you are looking for a perfect couple Halloween costume idea, then got dressed up as Venom and Spiderman for a duo. 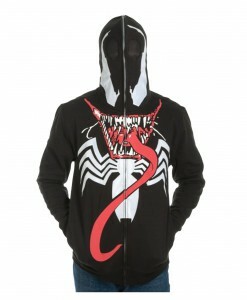 If it is chilly outside, do not forget to take a Venom full-zip mask hoodie along with you when going to trick-or-treat. Venom costume ideas are extremely popular among most party goers and their children that is why we have our Venom costumes in sizes for both adults and kids. 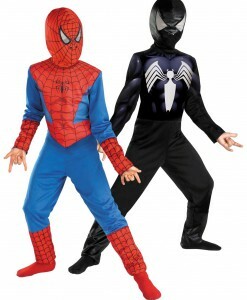 Get a Spiderman costume for yourself and a kids’ muscle chest Venom costume for your child for a perfect family Halloween costume. 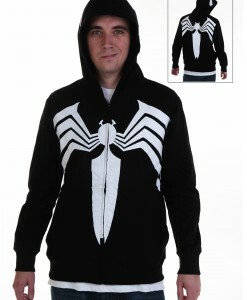 A Venom costume T-shirt, a full-zip mask hoodie, or a Venom costume – no matter what you are looking for as long as we have stocked the best Venom costume ideas and accessories in one place. Venom costumes and additional items, such as gloves and masks offer everybody a great chance to team up with their families and friends for some very special Halloween photos. For your convenience, we have all your Venom costume and accessory needs covered with free delivery anywhere in the USA, Canada, and the UK. For more Superhero Costumes, browse our extensive selections of Hellboy Costumes and Flash Costumes, where you will find a wide variety of adorable outfits to put on for the next Halloween party!